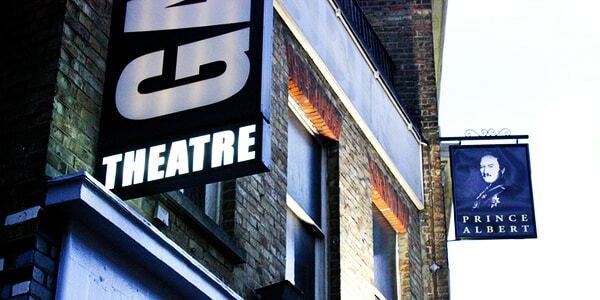 The Gate Theatre originally opened near Covent Garden in 1925, establishing itself as the London home for the UK premiere of foreign and contemporary classics (including pieces by August Strindberg, Eugene O’Neill, Jean Cocteau, and John Steinbeck). The Covent Garden space was destroyed in the Blitz in March 1941, not to be re-established until 1979 in Notting Hill by theatrical entrepreneur Lou Stein. Creatives to have worked with the Gate include Sarah Kane, Jude Law, Rachael Weisz, Sir Peter Hall, and Ian Rickson. In its modern incarnation, the 70-seat house Gate produces reimagined or unseen international theatre in-house and still commands strong local support. The current Artistic Director is Christopher Haydon.